Whether you’re a new driver or you have decades of experience, car safety should always be your top priority when you’re behind the wheel. But often, those who are new behind the wheel or who haven’t taken a safety class in years tend to forget the most important safety checks to perform on a regular basis. Here is everything every driver should know about car safety and the most important safety checks to do before you get behind the wheel. 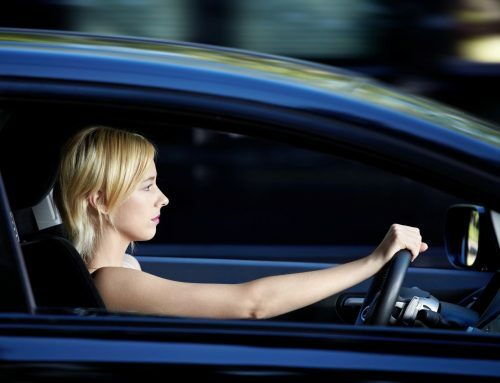 What should a new driver know about car safety? To start, read the owner’s manual to familiarize yourself with all of the controls, understand the dashboard and its symbols, and learn what the warning lights mean. The location of each control or symbol on the dashboard can vary from car to car, so take some time to familiarize yourself with how your car works. There are multiple areas of your vehicle that you should regularly check in order to ensure your safety on the road. Check your car’s oil and coolant levels every month and be sure to have the oil changed regularly. You can learn how to check your oil yourself by reading your owner’s manual. You can also learn how to change your oil yourself, or go to your local mechanic to have it changed for you. Your owner’s manual will tell you how often your oil should be changed. Additionally, you should frequently check that air (heating and air conditioning) is flowing properly to ensure that there isn’t a problem with your air filter. Read your owner’s manual to learn how to check your car’s air filter to ensure that air is flowing properly. You can use a tire pressure gauge to check your tire pressure. Tire pressure gauges can be purchased online or at any car maintenance store. Check your owner’s manual for information on how much pressure your specific tires need. Also, you should make sure that your lights are always working as they should be. Check once a month to see that your headlights, brake lights, signals, and parking lights are working properly. If any of the lights aren’t working, read your owner’s manual to see if you can replace them on your own, or visit your local mechanic or car dealership. When driving a car, the most important things to check for are the airbags, brakes, engine oil, and of course gas. If none of these are working, you won’t be driving safely. Ensure that you are driving a car with working airbags and brakes, your vehicle doesn’t need oil, and you have at least a quarter- or half-tank of gas. Before a long drive or road trip, you should always check all of the fluids in your car: oil, coolant, washer fluid, etc. These should be filled properly and included in your car safety kit, as well. Use your tire pressure gauge to check tire pressure is at the proper level, and make sure all of your lights are working before you begin your journey. Also, do a quick test drive for a few miles on your local highway to ensure everything is working properly. Due to Arizona’s varying climate, there are specific safety checks you should do when driving in extreme weather conditions. First, temperature extremes can affect your car battery in high heat summers and cold winters. In each of these seasons, check your car battery by purchasing a tool that can do so or visiting your local mechanic. In the summer, you should regularly check your engine cooling systems to prevent overheating, check and change your oil more frequently, and don’t let gas drop below a quarter tank, as the more you use your AC the more gas you’ll be using. In the winter, regularly check your antifreeze and ensure your brakes have been inspected. Also, make sure you have the proper tires on your car if you will be driving in adverse winter weather. If at any point while you are performing safety checks or on the road you find a problem with your car, take the proper precautions to get it resolved. If you are at home or not driving when you discover the problem, make an appointment to come in to see a mechanic who can help fix the problem or diagnose the issue. If you are on the road when a problem arises, don’t hesitate to call roadside assistance, or make an appointment to see a mechanic if the issue isn’t urgent. Keeping your car safe is the start, driving your car safely is what we are here to teach. Contact us to learn more about our Driving Instruction Classes.